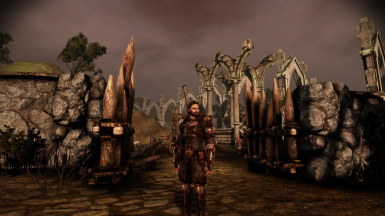 Due to alot of people asking me about my Human Warrior in my other mod's screenshots, i decided to share the files with everyone. I have added the MRH files in the download's. 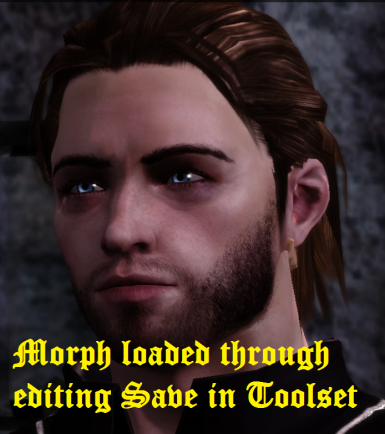 You can now edit the morph to your liking, someone has told me they had an issue under the eyes, i believe this is a custom makeup mod; however i don't remember installing any. If you have this issue please install the MRH and make your edits to allow it to display correctly. In the meantime i will try to figure out what it is exactly that is causing the issue, so far i have only had one report so whatever it is it seems most people already have the files installed. IF it is the makeup, simply choose a dark colour and leave the sliders where they are and it should not differ too much from the screenshots. Thanks. This is my Human Male morph, i have other version's of this preset/morph however i need yet to go through and check the requirements of the mor. such as "Malhuma" is an older version which may use different textures ect to "Malhuma002". So for now i will just release the more recent one's which i THINK i have all the requirements for, however i may be missing some, please send me a message or comment on this post anything that is not displaying correctly in your game and i will find the required file and list it in the requirements. As i stated previously i may be missing some, however im pretty sure this covers everything, if you experience any issues please let me know and i will fix and problems as fast as i can. Other than that, please enjoy this morph for your own PC or NPC. Preset file: drag and drop the folder into your overide folder, then use a chargen compiler to merge my file with your existing file. Morph (for PC): Drag and drop the files into your overide folder. Open up the toolset and load the latest save game of the character you wish to apply the morph to. Open the SAVEGAME_PLAYERCHAR, then select the other SAVEGAME_PLAYERCHAR, scroll down to "SAVEGAME_APPEARANCE" and in the "SAVEGAME_APPEARANCE_MORPH_NAME" box type "hm_malhuma002.mor" or "hm_malhuma002beard.mor" . SAVE the file, close the toolset and load up the save you just edited. Morph for NPC's: Drag and drop the file into your overide folder, then find the name of the file for the NPC you wish to replace, such as "hm_genfl_alistair" to change Alistair's appearance, rename the file and load up the game.